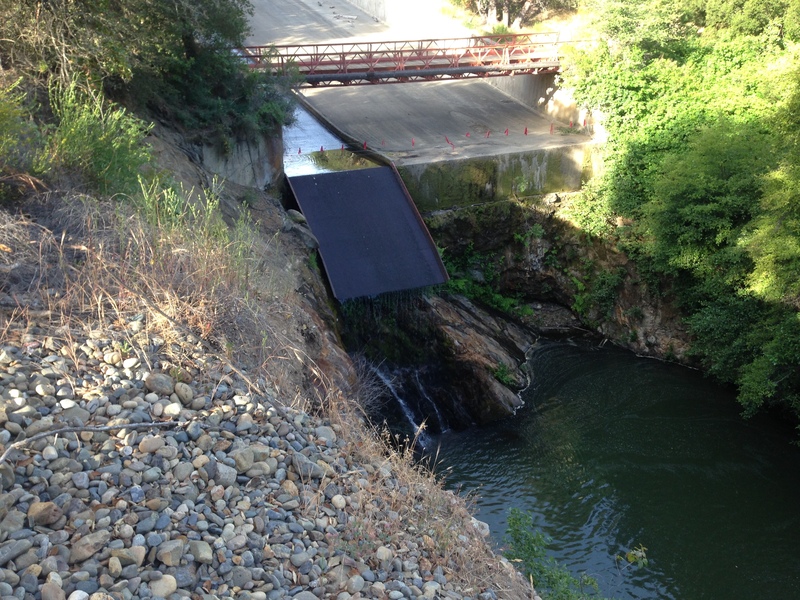 Although CRSA was successful in getting an extension to the spillway at Los Padres Dam, when the actual extension was complete the downward angle of the extension only partially pushed fish beyond the bedrock ledge. 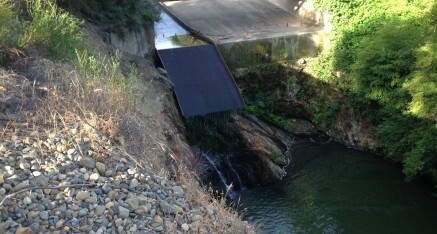 CRSA continued to lobby and complain about fish dying as they exited the dam, tumbling down the concrete spillway and crashing onto boulders at the base of the spillway. In August of 1995 CRSA convinced the California Department of Fish and Game to blow up the boulders in question. Fish and Game employees used thirty-five charges of dynamite in three sets to blow up the bedrock boulders. Approximately fifteen cubic yards of the bedrock was demolished, but Fish and Game decided it was unsafe at that time to remove the resulting small boulders. Shortly after the demolition a large storm event moved the boulders downstream and out of the way of fish. As required in their Water Allocation EIR, the Monterey Peninsula Water Management District conducted tests to determine how successful the demolition was. For their test the District captured smolts in the river above the dam and in the river below the dam and used these fish to determine injuries from passing down the spillway and falling into the plunge pool. Although a small number of fish were used in the test the District determined only four percent of fish were injured passing over the dam.